What can a home doctor do? How do I know if I need a home doctor? Currently, there are more than 1200 home doctors in the House Call Doctor team, working to provide the best after-hours medical care to patients. The Royal Australian College of General Practitioners accredited House Call Doctor to provide medical deputising services. Our home doctors are qualified and registered with the Australian Health Practitioner Regulation Agency (AHPRA) which is a requirement of the Medical Board of Australia. We support our home doctors with a panel of Medical Directors, who oversee matters of clinical governance. Who are our home doctors? Our doctors are a diverse group coming from Australia, Canada, China, Hong Kong, India, Ireland, New Zealand, Nigeria, South Korea, United Kingdom and United States and are committed to providing high quality after-hours medical care. These home doctors come from a variety of speciality backgrounds including general practice, emergency medicine, obstetrics and gynaecology, geriatrics, surgery and psychiatry. Over 120 of our doctors specialise in General Practice. 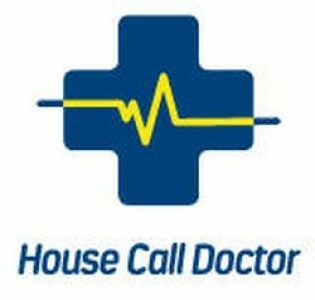 We have fellows in the home doctor team at House Call Doctor. Our home doctors are required to have at least two years of experience after graduation. Typically, most of our doctors have over four years of experience. Life as a home doctor? Dr Ryan Harvey has been a member of the House Call Doctor team since 2015 and is now the Assistant Medical Director in Brisbane. He provides after-hours medical care, as well as working as a General Practitioner at a local clinic. Dr Harvey is experienced in paediatrics and has used his medical training to provide medical care to children in remote communities overseas. Dr Harvey said, “visiting patients in their own homes is a whole new experience, one that differs entirely from my work in General Practice”. Working at House Call Doctor offers great flexibility and helps to provide work/life balance. As a home doctor, you see a diverse range of patients which provides a valuable experience and is incredibly rewarding. We’re always looking for new people to join us here at House Call Doctor. As a home doctor, you can enjoy job flexibility and work/life balance. So that you can focus on providing dedicated patient care, we’ll support you by providing everything you’ll need, including administrative support. If you need a home doctor to visit you, call us on 13 55 66, download our app or make a booking on our website.